Gary L Smith is a Financial Advisor with the Financial Design Group. 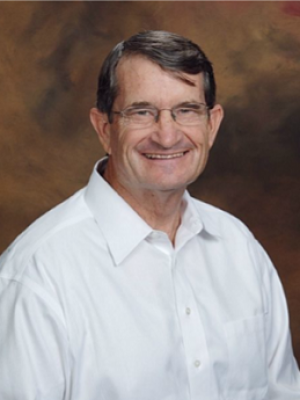 He holds a Bachelor of Business Administration Degree from New Mexico State University with a minor in Management and has specialized in the financial services industry since 1976. Gary's philosophy in business is: "In serving my client, I shall recommend that course of action which I would apply to myself in the same situation." Gary is an Investment Advisor Representative and a Registered Representative with Securian Financial Services, Inc., holds a Series 7, 6, and 63 securities registration, has earned several industry designations consisting of Chartered Financial Consultant (ChFC), Chartered Life Underwriter (CLU), and Life Underwriter Training Council Fellow (LUTCF) from The American College, Bryn Mawr, Pennsylvania, and has qualified for several industry awards and accomplishments such as the National Quality Award and Million Dollar Roundtable (MDRT)*. Gary's professional specialty includes: Personal Financial Analysis; Retirement Strategies; Securities and Investment Advisory Services; Insurance Strategies; Estate Planning; Life Insurance Strategies for business; Disability Insurance and Employer Group Benefits. He is a member and current President of the National Association of Financial and Investment Advisors of Yuma, and a member of the Society of Financial Service Professionals. Gary is a board member of the Arizona Community Foundation of Yuma and Yuma Endowment Project and Hospice of Yuma. He has been an active member of the Boy Scouts of America for many years and regularly instructs the BSA Personal Management Merit Badge. Gary and his wife Lynn were married in 1967. When they moved to Yuma in 1982, they had five children under the age of 9. All five children graduated from Kofa High School, and four have college degrees (one from Brigham Young University, one from University of Phoenix, and two from University of Arizona). His three sons are Eagle Scouts. One son is currently serving in the United States Army. Gary is the very proud grandfather of six active boys and five beautiful girls! *Million Dollar Round Table (MDRT) is an independent membership organization of life insurance and financial service professionals. Membership levels are based on commissions, premiums, or fees generated within a year from investment and insurance products. Members must apply annually and pay a fee. Members must be members in good standing of a Professional Association which has met the following criteria: in existence at least 2 years, have 100 or more members, must be a nonprofit organization, must have a code of ethics and an effective means of dealing with breaches of its code. Members must also adhere to the MDRT Code of Ethics. Working with this advisor is not a guarantee of future financial results. Investors should conduct their own evaluation. Awards and club membership are based primarily on commissions, premiums, or fees generated from investment and insurance products and other criteria relative to leadership and achievement. Working with this individual or firm is not a guarantee of future financial results. Investors should conduct their own evaluation.